The image of American politician and scientist Benjamin Franklin (1706–1790) flying a kite in a thunderstorm is familiar to every schoolchild. (See [link].) In this experiment, Franklin demonstrated a connection between lightning and static electricity. Sparks were drawn from a key hung on a kite string during an electrical storm. These sparks were like those produced by static electricity, such as the spark that jumps from your finger to a metal doorknob after you walk across a wool carpet. What Franklin demonstrated in his dangerous experiment was a connection between phenomena on two different scales: one the grand power of an electrical storm, the other an effect of more human proportions. Connections like this one reveal the underlying unity of the laws of nature, an aspect we humans find particularly appealing. 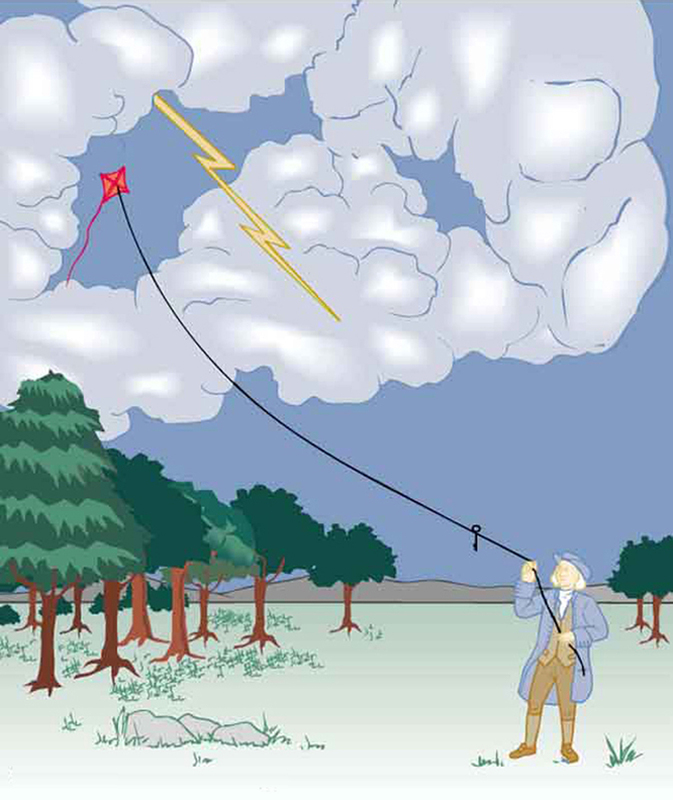 When Benjamin Franklin demonstrated that lightning was related to static electricity, he made a connection that is now part of the evidence that all directly experienced forces except the gravitational force are manifestations of the electromagnetic force. Introduction to Electric Charge and Electric Field by OpenStax is licensed under a Creative Commons Attribution 4.0 International License, except where otherwise noted.